From the author of The Personal History of Rachel DuPree (soon to be a major motion picture)! Young pianist Catherine Wainwright flees the fashionable town of Dayton, Ohio, in the wake of a terrible scandal. Heartbroken and facing destitution, she finds herself striking up correspondence with a childhood admirer, the recently widowed Oscar Williams. In desperation, she agrees to marry him, but when Catherine travels to Oscar’s farm on Galveston Island, Texasa thousand miles from homeshe finds she is little prepared for the life that awaits her. The island is remote, the weather sweltering, and Oscar’s little boy Andre is grieving hard for his lost mother. And though Oscar tries to please his new wife, the secrets of the past sit uncomfortably between them. Meanwhile, for Nan Ogden, Oscar’s housekeeper, Catherine’s sudden arrival has come as a great shock. For not only did she promise Oscar’s first wife that she would be the one to take care of little Andre, but she has feelings for Oscar that she is struggling to suppress. And when the worst storm in a generation descends, the women will find themselves tested as never before. 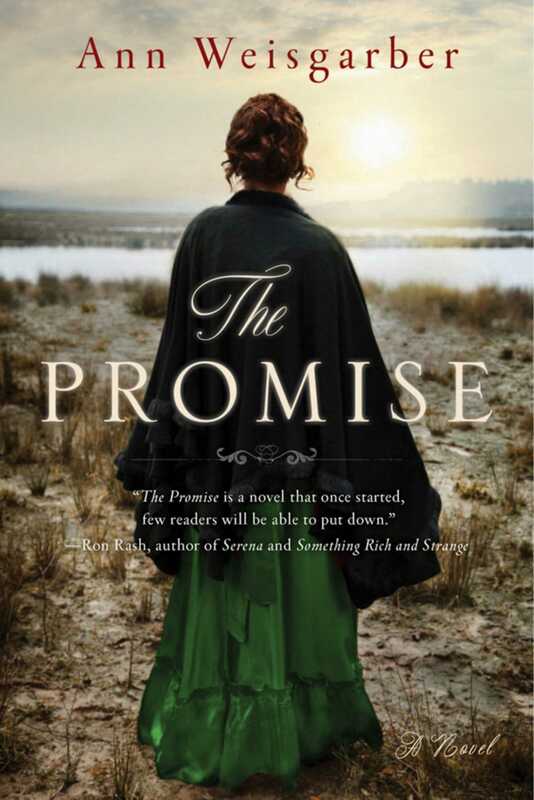 The Promise, now available in paperback, received rave reviews from critics and captured the hearts of readers worldwide. Against the backdrop of the devastating Galveston hurricane of 1900, Ann Weisgarber tells a heartbreaking story with two unforgettable voices.